Gestamp's hot stamping cuts weight, adds strength. TOKYO — With Japanese auto production turning out 9 million vehicles a year, Japan might seem the last place in need of more metal stamping capacity — let alone a new plant built by a foreign supplier with only a fledgling local customer base. 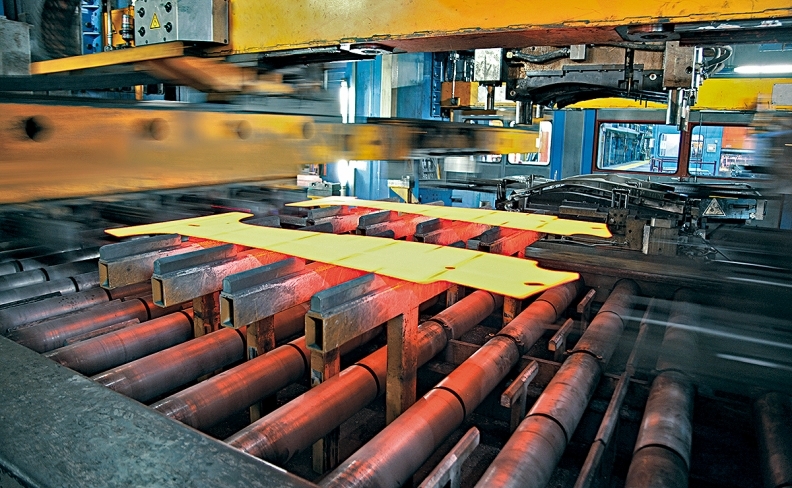 But Spanish metal bender Gestamp Automocion sees an opportunity to crack the crowded market, thanks to growing demand for its specialty product: hot-stamped steel. Hot stamping is becoming a hot business as carmakers seek ways to make vehicles lighter, which improves fuel efficiency. Japan's automakers have traditionally opted to lightweight by using cold-stamped high-tensile steel from local suppliers. But hot stamping reduces steel weight and thickness while increasing its strength. The technique also allows for stamping of more complex shapes. It is unusual for any foreign supplier to build a plant in Japan, but Gestamp is doing just that with plans to open its first here this year in Mie prefecture. The location is just south of Toyota Motor Corp.'s automaking hub in Nagoya and home to Honda Motor Co.'s Suzuka assembly plant. Gestamp is making an initial investment of about $44 million and will boost spending to about $75 million through a second-phase expansion. 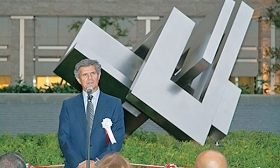 The plant is part of Gestamp's expansion strategy for Japan that began in June with the opening of an r&d center in Tokyo. That bolstered Gestamp's capacity to develop body-in-white and chassis components and brought the company's latest hot-stamping technology to Japanese customers, said Ego Inciarte, senior general manager of Gestamp Japan. Gestamp's business in Japan began in 2009 when it worked with Honda to supply parts for the Civic, Accord and CR-V. From 2013, the two companies jointly developed a stamping method, dubbed the "soft-zone system," which is used in the latest generation of the Civic. The technology allows a single metal part to have different attributes. In the Civic, for example, it improves safety by allowing components with a softened area to better absorb crashes. Gestamp says it expects the r&d center to help generate business with other Japanese manufacturers, including Toyota, Nissan Motor Co., Mazda Motor Corp. and Suzuki Motor Corp.
"Gestamp has taken another step forward in consolidating our relationships with Japanese customers, with whom we aim to continue solid and long-term growth," Francisco Riberas, Gestamp executive chairman, said in a statement. If so, it is a big opportunity for Gestamp. Japanese carmakers accounted for only 7 percent of the company's total revenue of $8.83 billion in 2016. Gestamp says it sees much growth potential. Gestamp wants to double sales from Japanese companies in the medium to long term. "In Japan," Inciarte said, "there is a big opportunity to develop new technologies such as hot stamping with soft zone, which our clients are increasingly demanding."